I love a good dystopia as much as the next science-fiction fan. But let’s not get carried away. 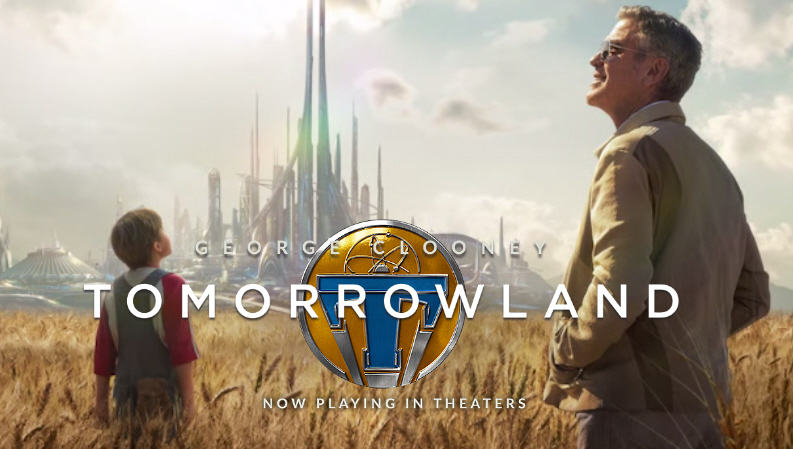 Over at GeekWire, I give qualified praise to the new Walt Disney Pictures feature, Tomorrowland, more for what it represents than for what it is. I did enjoy it for its classic Disney YA (for non-literary genre types, that’s code for “Young Adult”) approach. And it gets props for the many science fiction (a pop culture shop staffer named “Hugo Gernsback,” after the editor of the first U.S. science-fiction magazine) and Disneyland (multiple appearances of the original Space Mountain building in a city skyline) references scattered throughout. But what I especially praise it for is its tone, and the premise that science and engineering can be a force for good. That’s a tone missing all too much in the prevalent pop culture celebration of all things zombie and post-human-accelerated apocalypse. Both kinds of visions can entertain and be thought provoking. Tomorrowland’s story? A bit obvious (especially for adults), and a bit muddled. But nice narrative touches, good acting, and fun to look at. Read, “Ignore the critics: The world needs more Tomorrowlands,” at GeekWire.